Day 5: What IS Christmas Really About? for this is my blood, which confirms the covenant between God and his people. It is poured out as a sacrifice to forgive the sins of many. Yes, it is quite obvious that I would not find candy canes per say in the Bible during the time of Jesus’ birth, however I did want to check it out and see why they are such a popular item only during Christmas time. 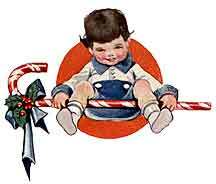 As I happened upon a neat little story I discovered several meaning for the candy cane. I am inserting this into my blog because my paraphrasing would not do it justice. I will add my two cents in at the end and wrap up my feelings on this wonderful Christmas time treat. One of the most often seen symbols of Christmas is the candy cane. 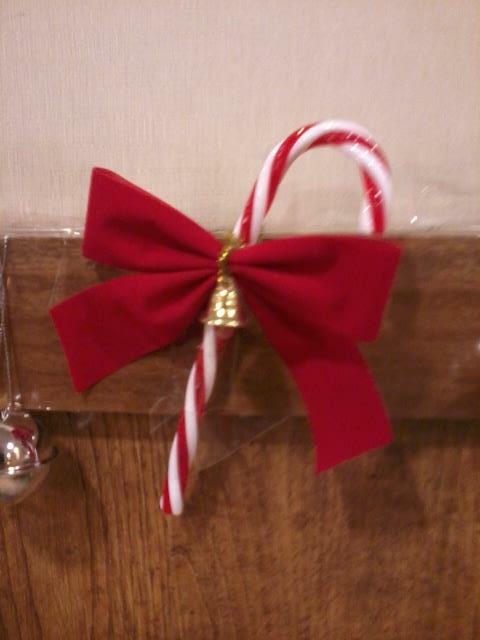 Not only are candy canes used as a sweet Christmastime treat but they are also used for decoration. How did this seasonal candy get its familiar shape, and when did it become part of Christmas tradition?When the practice of using Christmas trees to celebrate Christmas became popular in Europe the people there began making decorations for their trees. Many of the decorations were food items including cookies and candy. The predecesor of our modern candy cane appeared at about this time in the seventeenth century. These were straight, white sticks of sugar candy. Part of the Christmas celebration at the Cologne Cathedral were pagents of living creches. In about 1670 the choirmaster there had sticks of candy bent into the shape of a shepherd’s crook and passed them out to children who attended the ceremonies. This became a popular tradition, and eventually the practice of passing out the sugar canes at living creche ceremonies spread throughout Europe. The use of candy canes on Christmas trees made its way to America by the 1800’s, however during this time they were still pure white. They are represented this way on Christmas cards made before 1900, and it is not until the early 20th century that they appear with their familiar red stripes. Many people have given religious meaning to the shape and form of the candy cane. It is said that its shape is like the letter “J” in Jesus’ name. It is also in the shape of the shepherds’ crook, symbolic of how Jesus, like the “Good Shepherd” watches over his children like little lambs. It is a hard candy, solid like a “rock”, the foundation of the Church. The flavor of peppermint is similar to another member of the mint family, hyssop. In the Old Testament hyssop was used for purification and sacrifice, and this is said to symbolize the purity of Jesus and the sacrifice he made. Some say the white of the candy cane represents the purity of Jesus and his virgin birth. The bold red stripe represents God’s love. The three fine stripes are said by some to represent the Holy Trinity: the Father, the Son, and the Holy Spirit. Others say they represent the blood spilled at the beating Jesus received at the hands of the Roman soldiers. From its plain early beginnings to its familiar shape and color of today, the candy cane is a symbol of Christmas and a reminder of the meaning of the holiday. So as I would agree with the statements in the article above, one thing I would like to add just for the sake of argument, why don’t we have candy canes all year round if they symbolize the Trinity, the Rock, the healing and the sacrifice? Should we not be celebrating all of these things in our daily walks not just once every 365 days? I am again beginning to feel as though we just left poor baby Jesus in that stable and just made our own version of Christmas as we went. This Christmas maybe we should save a candy cane out and attach it somehow to our refrigerators as a reminder all year long of the significance behind it. Imagine the conversational piece it will become when your friends and family ask why you have a candy cane on your frig in June.